B&D Doors will donate a total of five garage door packages to four deserving Canterbury community groups as a result of their recent joint-promotion with Mainland Press announced B&D Doors New Zealand Country Manager Tim Dalzell today. “We’d originally planned two, but it was simply too hard to decide. 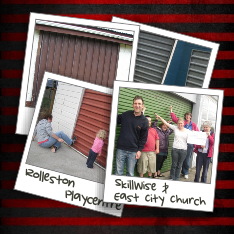 These groups are in real need, and a new garage door will make a big difference to the services they provide to their members and the wider community,” says Mr Dalzell. Groups had to write 250 words on why they would be most deserving of the products and submit it to Mainland Press with photos by March 19. The lucky winners won’t have to wait long for their prize as B&D are in the process of organising their local Dominator and Garador Dealers to visit the sites and measure up for new doors. “The wider B&D team from around the country are delighted that they have been able to support the Christchurch community in this way, and so are our local Garador and Dominator dealerships who jumped at the chance to be involved.” says Mr Dalzell.